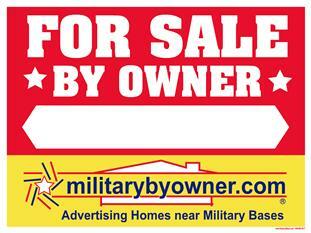 How to Make Homebuyers Fall in Love with Your MilitaryByOwner Ad! This is the first in our special week of Valentine's Day-themed posts! Each day, we'll be posting helpful tips and essays as usual, but this week will feature a twist on the love and romance theme that goes along with Valentine's week. Make sure to check back daily and enjoy! When setting up your advertisement to either sell or rent your home, getting people to click on the details page is your first hurdle. Once you have their attention, you need to make them fall in love with what they see! Militarybyowner.com offers 3 ad packages, and your first challenge is picking the ad package that works for you and your budget. The Basic Ad ($14.95) includes: 45 days of advertising, text only. The Home Tour Ad ($49.95) includes: 90 days of advertising, 5 photos. Includes thumbnail. The Home Tour Plus Ad ($79.95) includes: 180 days of advertising, 40 photos PLUS a thumbnail photo of the home in the base home results page, higher posting on the page, and two yard signs if needed. Now, how to make the most of the ad package you purchased? When choosing a text-only ad, you need to make your words count! Make sure your description is well written and expresses why you fell in love with your home. Check the paragraph for spelling and grammatical errors and fix them. The most important part of your description is the first 300 characters or about 50 words. This is all you have to get people to click the link for more details! It's important to put some thought into what would make you look at your house. By doing this, you will get the all important click, requiring the rest of your description to be just as spectacular since you now need them to love your home! The Home Tour and the Home Tour Plus ad packages are really just extensions of the basic ad, but you'll be adding pictures to the fantastic description. Make the first photo the attention-getting photo: the thumbnail picture on the listing or base page. Be sure the thumbnail photo complements the description! It needs to be another reason for people to click through to your details page. Whether you're posting 5 pictures or 40, there are a few must-have photos on your list! People want to see the outside of the home, as well as the kitchen, family room, master bedroom and back yard/patio. If you're taking pictures of the bathroom, don't take a picture of just the toilet! Make sure it includes the rest of the bathroom. Insides of closets are nice, but only include them if they have special organizers in them or are a reason to buy or rent your house. Otherwise, they're not something the person viewing your home is necessarily looking for when previewing your home for the first time. Remember that people want to be wowed and thinking, I’m getting all this for this price! They need to feel the value of your home. Showcase the features of your home that made you fall in love with it originally, so you can get someone else to fall in love with it!